From one B destination to the next. 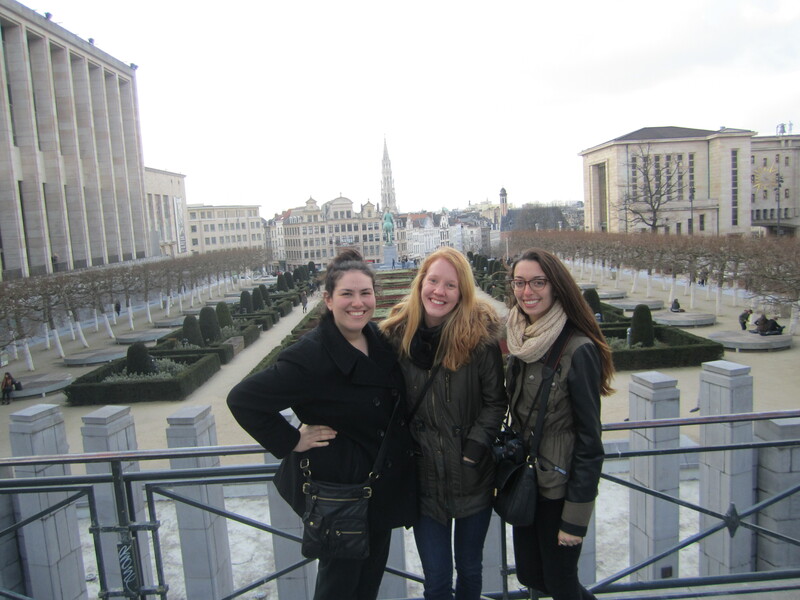 Last weekend I found myself in Barcelona, Spain, this weekend I found myself in Brussels, Belgium. Might I just start off by saying how in love I was with the food in Brussels. I am pretty much living my life Eat, Pray, Love style (minus the prayer, and love). I must say I continue to amaze myself with how much one can fit into a weekend. Sure it is EXHAUSTING, but it is always worth it. 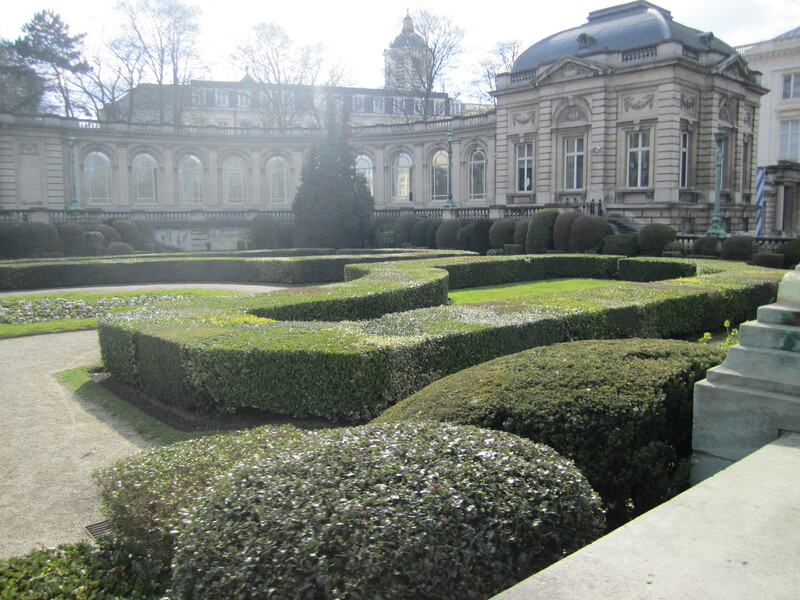 Also I finally caught a break in Brussels, which is notorious for not having the grandest weather. I did indeed bring an umbrella with me, but I never used it. Isn’t that always how it goes? When you bring an umbrella, you almost never need it, but when you don’t bring it, you wish you had it. Ok let’s start off with waffles for my eating my way through Brussels extravaganza. I learned all of the best tricks of the trade amongst this voyage. I yet again took another free walking tour, which actually proved to be my favorite of the three I have taken so far. The walking tour was fantastic, despite the fact it was nearly three hours! Having been a tour guide at New Paltz, I always feel as though I view these tours under a different lens. This tour guide was so knowledgeable, but he also knew his audience. He informed us about waffles, fries, chocolates, and basically anything else we would want to gnaw on while in Brussels. Liège waffle with whipped cream, strawberries, and chocolate! I did indeed have my fair share of waffles during my brief stay in Belgium. Now the most important thing to share with you readers is the different waffle types there are. 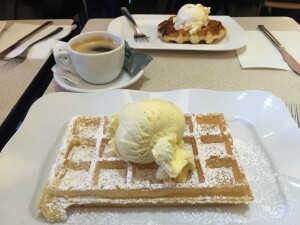 It is a very common misconception for someone to go to Belgium and order a Belgian waffle, thinking that any waffle from Belgium is considered a Belgian waffle. This is not the case. Which is why I had to make sure to try an array of waffle types while in Brussels. After sampling an array, I think my favorite waffle I had was the Liège waffle. But I did make sure to have a Belgian waffle while I was there, because you must! Both are sweet and yummy, but I personally did indeed favor the Liège waffle, so much so that I did indeed eat another one later in the trip! Moving on from waffles, to the french fries. Again we got the tricks of the trade from our tour guide. 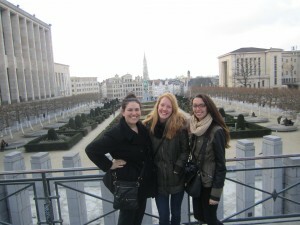 Our tour guide informed us that most places in Brussels serve frozen fries! Who wants that!? He did assure us that not all establishments take the easy way out, so we knew where to go for the traditional Belgian cone of fries. 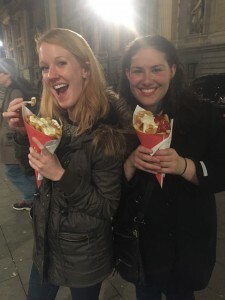 Typically Belgians eat an entire cone of fries with a blob of mayonnaise, but I was content with taking the touristy route and avoiding that via a variety of sauces in order to mix, and match. The fries could not have hit the spot anymore than they did. There was nothing more satisfying than walking to our hostel in the wee hours of the night/morning to see those golden spuds were still available for purchase. I think the fries were my favorite food in Brussels. It is overwhelming to come face to face with an entire cone. 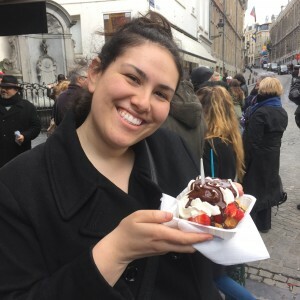 I was actually unable to eat the cone in it’s entirety, but man oh man what I wouldn’t do for some Belgian fries right now as I write this post! Next up has to be the chocolate. I was really curious for this one because I had already visited Switzerland this semester. 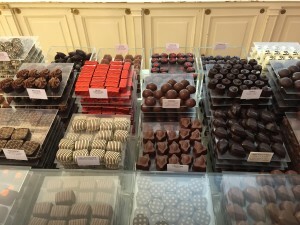 Switzerland being known for their chocolate, I was eager to do a compare/contrast. My verdict being that they really both take the cake, pun intended. I did want to have an authentic Belgian meal while I was in Brussels, so I did make sure to have the meatballs with french fries. 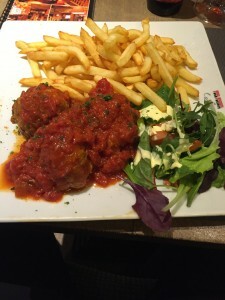 I am ashamed to say, I have yet to eat meatballs in Italy, so these Belgian delicacies didn’t stand a chance to pale in comparison. It was one of those meals that really was right on the money! 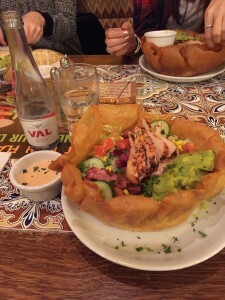 I was enjoyed this first meal in Brussels, especially considering how hungry I was upon arrival! 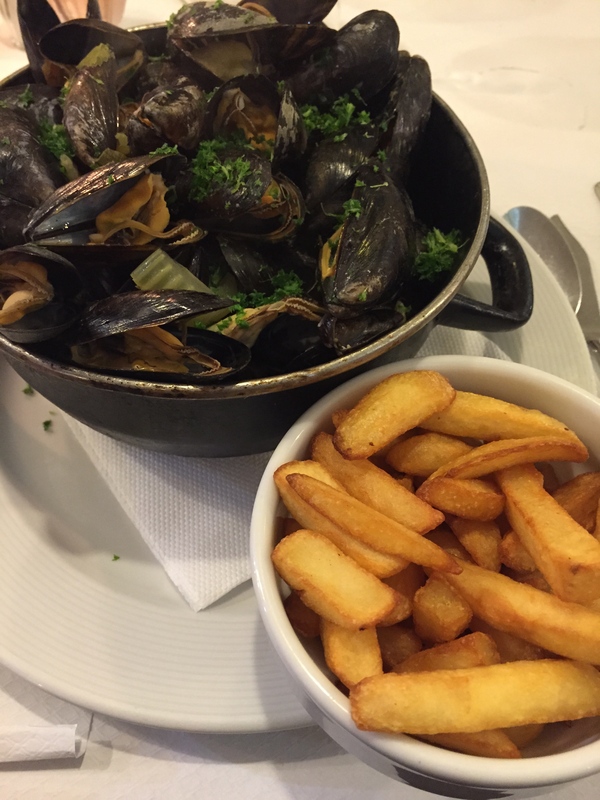 It is also common to find the rhyming dish of Brussels mussels, so I of course had to engage in that as well. I am a big seafood person! The mussels were good, but I must admit I have indeed had better before. But alas I ate my fair share of anything and everything in Brussels, so I have no complaints. 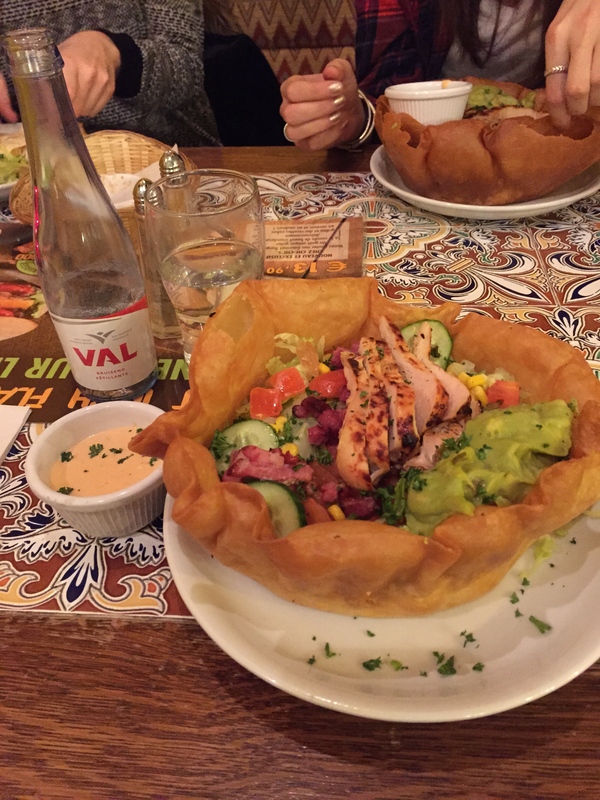 Plus this was our last meal in Brussels, which I found to be rather reasonably priced, which is always a challenge to find! Do you take dining dollars? 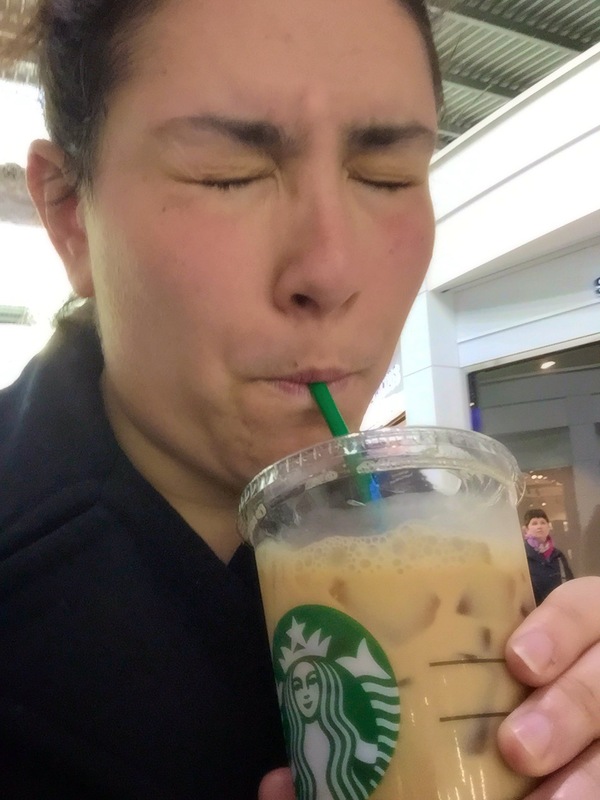 I did make sure to have my Americanized staples of guacamole, and Starbucks because they are my kryptonite, and I couldn’t resist. 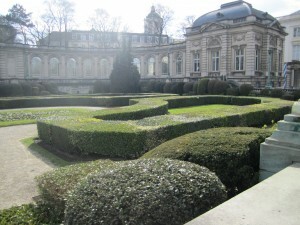 I did indeed do other things in Brussels besides eat, despite what this post will lead you to believe. 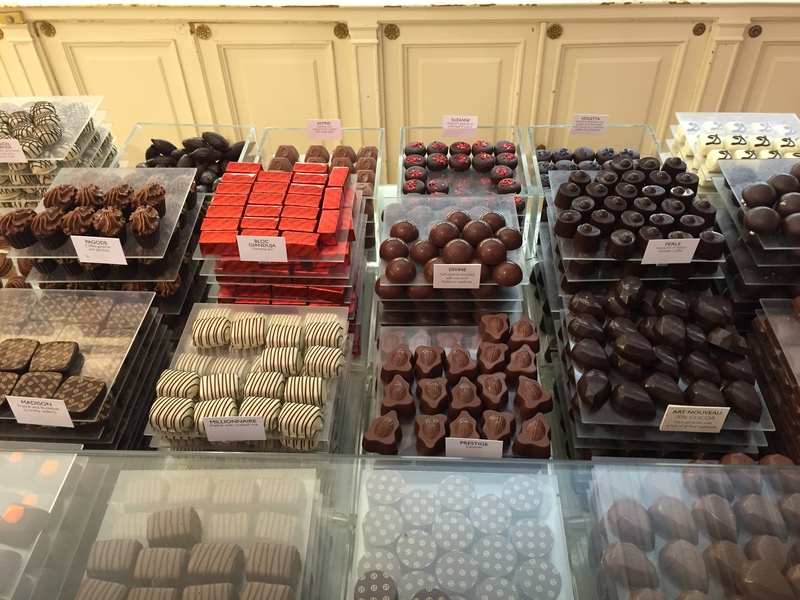 However, I wanted to focus on the food for this post because it really was the ultimate highlight of Brussels. It brought my trip above and beyond, to the next level. I would highly recommend you visit there, and wear your stretchy pants. And if you do visit, be sure to stuff me in your suitcase! 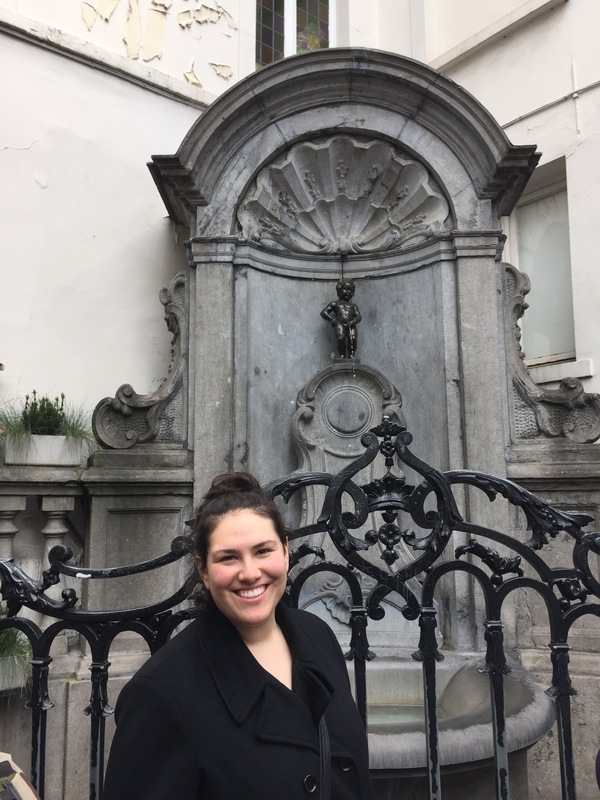 Can’t go to Brussels without visiting Manneken Pis! Also as just kind of a cool ps, the world truly is the smallest place. 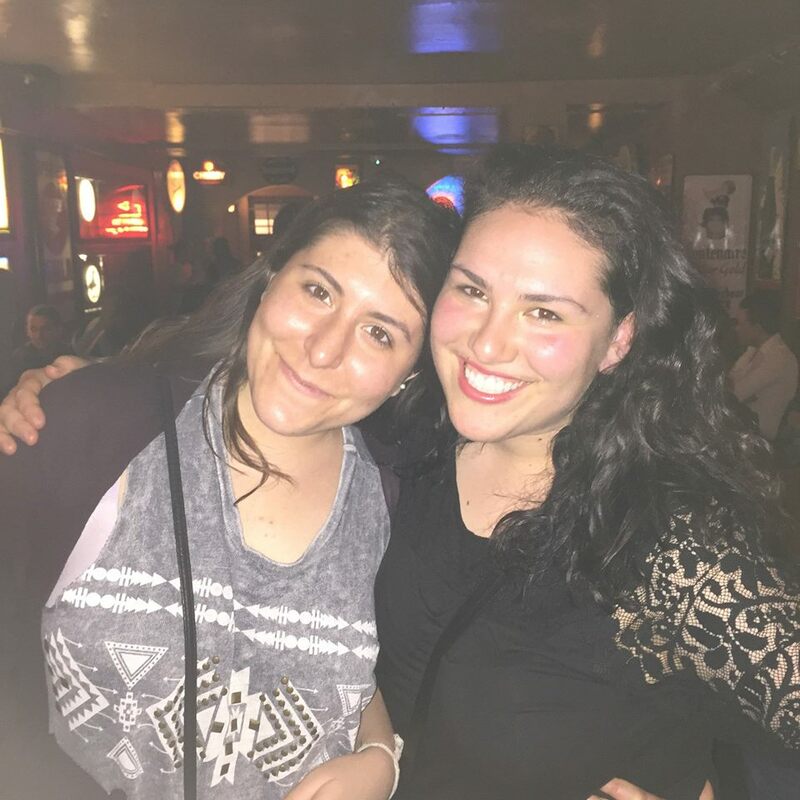 I managed to find a girl who I went to high school with on my walking tour of Brussels! So it is indeed a small world after all! 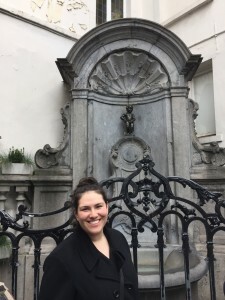 Tamara, a Childhood Education major with a concentration in English, and a minor in Jewish Studies, has been dreaming of sinking her teeth into all that Italy has to offer. She is beyond excited to finally see her dream become a reality.